National Nursing Week is being celebrated from May 8-14, 2006. The week is organized around Florence Nightingale’s birthday on May 12. This year’s theme for National Nursing Week is Nursing: Promoting Healthy Choices for Healthy Living. A nurse can either be a man or a woman. Throughout history males have attended to the sick in hospitals. But women have been the principal performers of nursing duties in every period and every country. William Nightingale of Embly Park, Hampshire, U.K. was a wealthy landowner. His daughter Florence was born in Florence, Italy. Florence was taught by her father. She learnt many languages and studied history, philosophy and mathematics. Florence’s mother, Fanny, wanted Florence married at an early age. But Florence refused to do that. At the age of 25, Florence decided to be a nurse. The profession of nursing was looked down upon during that time so her parents were not very happy with Florence’s decision. At the age of 31, Florence went to Kaiserwerth, Germany to study nursing and two years later returned to England to be appointed as lady superintendent of a hospital in London. In 1853, the Crimean War started when Russia invaded Turkey. Britain got involved and sent troops to Turkey to stop the spread of Russian influence in that area. Very soon the British troops were down with cholera and malaria. Florence Nightingale offered her services and took a group of 38 nurses to Turkey. There was considerable prejudice against women medical personnel in general and especially in the army. Nightingale had difficult time being accepted but she fought hard to reform the army hospitals where there was lack of hygiene and elementary care. 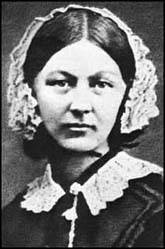 In 1856, Nightingale returned to England. She was treated as a national heroine. She launched a campaign to improve the quality of nursing in military hospitals; she published books on nursing reforms and in 1860, found the Nightingale School & Home for Nurses at St. Thomas’s Hospital. She also campaigned for the emancipation of women. Nightingale was also acknowledged as a “prophetess” in the development of applied statistics. Nurses have come a long way since the days of Florence Nightingale. Now some of the nurses will be working as nurse practitioners. A recent article in the Canadian Medical Association Journal says that all the provinces and two territories have passed legislature which allows nurse practitioners to work. A nurse practitioner is a registered nurse with additional education in health assessment, diagnosis, treatment and management of illnesses and injuries. In 2004, there were 878 licensed nurse practitioners in Canada. And this number is increasing. Nurses are part and parcel of our health care system and their role will continue to increase as they continue to take advantage of higher education and the gaps left by the shortage of physicians in rural areas. I have worked with nurses all my working life and have been on the receiving end of their kindness and care as a patient. I admire the hard work they do. Good luck and keep up the good work. Enjoy the National Nursing Week.